Nuclear war has taken place, but the occupants of seven bunkers are trapped inside them, and three droids have been sent to rescue them. This game is quite similar to Boulder Dash, but the difference is that each droid performs different functions – the blue one can dig the earth, the yellow one can rescue the inhabitants, and the red one can push boulders. You must use each droid carefully or you'll be stuck! Despite the simple graphics, this is a great game if you have the ability to think laterally, but the levels are too big for most people to complete. You're a lion cub, roaming the savannah. One morning, you realise that your mother has disappeared, and now you have to face life without her... This is a multiple choice adventure game where you must choose one of several possible actions, but many of them will take you down false paths. Along the way, you'll encounter many different types of animal – a hippopotamus, a hyena, an antelope, and even a jackal who can play chess (yes!). This game wasn't released on its own and was only available on one of Lankhor's Black Soft compilations. Excellent full-screen graphics accompany each location, and there are lots of suitably atmospheric tunes as well. 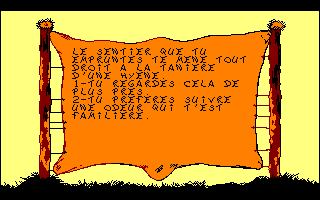 Overall, it's a nice adventure (although all the text is in French), and at times you feel sorry for the poor lion cub as you're playing the game. A disaster is taking place on the planet of Contra, and you have been woken up so that you can alter the settings of the Filtering Computers that maintain the planet's systems. However, you do not actually control yourself; instead, you control six robots, each of whom perceives the world around them differently and has their own capabilities and limitations. While chaos reigns on the planet above, you must use all six of the robots to fix everything. 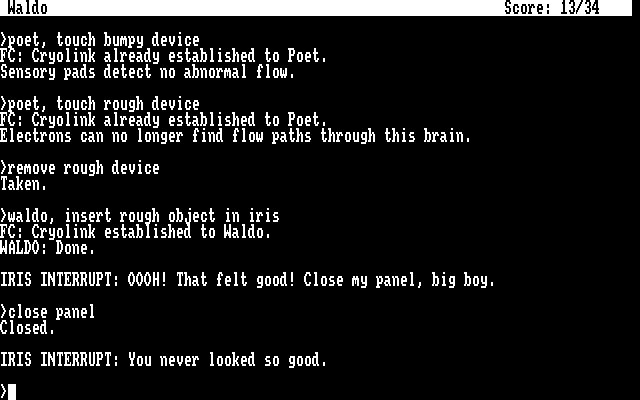 This is a text adventure like no other, and it's one that takes a lot of getting used to. 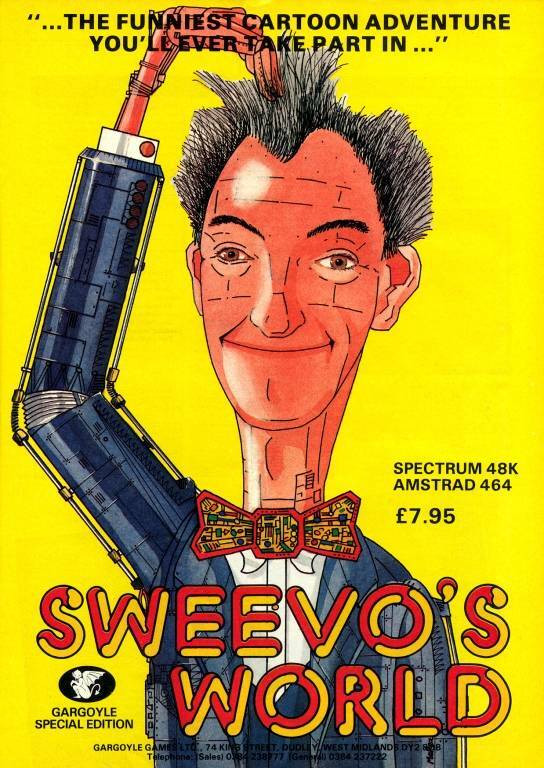 It is one of Infocom's most difficult games, and to do well, you must remember where all the robots are and make sure they're in the right places at the right times. The plot is highly original, but its difficulty level and other general quirks will put a lot of people off. Puzzle games don't come much harder than this one! You're given a board of several colours of either squares, triangles or hexagons, and you have to clear all of them from the board by swapping them and matching the colours up. 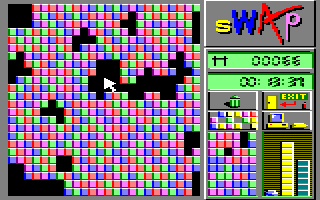 The difficulty depends on how many colours there are, the shape of the tiles, and whether or not there is a time limit. How well you complete one level determines which level you'll go on to next, so it's never the same game twice! The whole game is extremely well presented, and the icon-based menu system looks stunning. You'll get frustrated, but with the option to save and load the game as well as a multiple undo system, this is a great game for all of us intellectuals. Don't ask me what the plot of this game is, I never understood it. All you have to do is find your way through a maze filled with tin boxes, rotten fruit, chocolate geese (! ), and brownies (that you must collect). It is funny, anyway, despite the four-colour graphics (which are very good, though). The animation of your creature is fluid, even if it slows a lot when there are other characters on the screen. Well, it is a strange game, and really addictive because you want to explore this silly world further – and understand the meaning of it all! As Hiro, last of the Blade Knights, your task is to find the lost pieces of the mystical Fireblade and free the world from the tyranny of the evil Havok. What could be a fairly dreary task is enlivened by the superb implementation of an otherwise fairly standard platform format. Whether using your fists or one of the many weapons lying around the dungeon, the sliding power bar makes performing different moves simple and elegant. The difficulty is also pitched just right. Graphically, things are spot-on; the detailed MODE 1 graphics provide a suitably gloomy ambience. 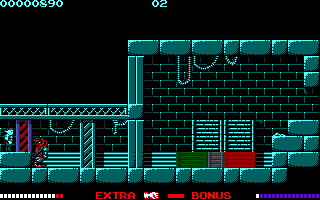 A great tune plays throughout too – a relatively rare thing in CPC games. There are a couple of niggles (Hiro's jumping can be slightly clumsy at times), but generally this is one of the most professional titles ever released for the CPC, and a cartridge version is also available for Plus machines. 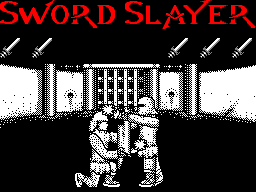 Watch YouTube videos of this game by: Axelino, ChinnyVision, Xyphoe (cartridge version). Vertically scrolling shoot-'em-up action in this unofficial sequel to Silkworm (its name could be interpreted as Silkworm IV). Once again you must stop everything getting past; waves of helicopters, tanks, rockets, and numerous other deadly foes on land and air as you fly past a barren landscape, all of which can be obliterated by the weapons at your disposal. You have a choice of craft between a helicopter or a jeep, both of which have their advantages and disadvantages, and killing the large bosses enables you to pick up power-ups that increase your firepower. The graphics are highly detailed, the sounds of exploding units and installations are effective and it's enjoyable enough, but the fact remains that this is a bad Spectrum port. Considering the year this was released it should have looked better. A gang of evil ninjas has captured lots of people and taken them hostage, so as a noble warrior, you must rescue the hostages and kill the gang's leader. The story sounds rather similar to that of Shinobi, and the game itself also bears a remarkable resemblance to it. 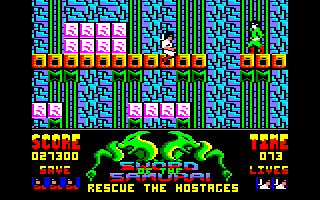 Three hostages need to be rescued on each of the seven levels. There are several different types of ninjas, each of which needs to be dealt with in a different way. This is a fairly decent platform game with clear and colourful graphics, although there are very few sound effects, and while it's not quite as good as the game that inspired it, it's still worth trying out. Follow the storyline of Spartacus, a gladiator in the Roman empire who seeks to escape from the arena. The eleven scenes in the game take him from the arena to the streets of Capua, where he rushes to a temple and then on to the forest, before finally escaping. Throughout all the scenes, you've got to slay other gladiators and legionnaires, and sometimes eagles. 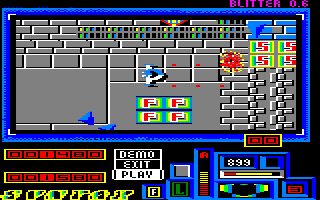 It gets monotonous fairly quickly, and the Spectrum-like graphics are mostly in the same colour, but the game deserves a special mention for using digitised sound effects. Rebel forces from the planet Syntax are planning to invade Earth, and you have volunteered to fly to Syntax in your impulse-drive fighter and defeat their dastardly plans. You must fly around the planet in the search for ten crystals which you must drop down ventilation shafts. Nearly everything about this game is poor. The graphics and sound effects are very basic and it's difficult to work out where it's safe to fly. Many of the areas you can explore are restricted in size, and the controls are very sensitive, so flying your fighter in a straight line is quite tricky, as is avoiding flying into buildings and rebel ships. You'll end up crashing far too frequently.